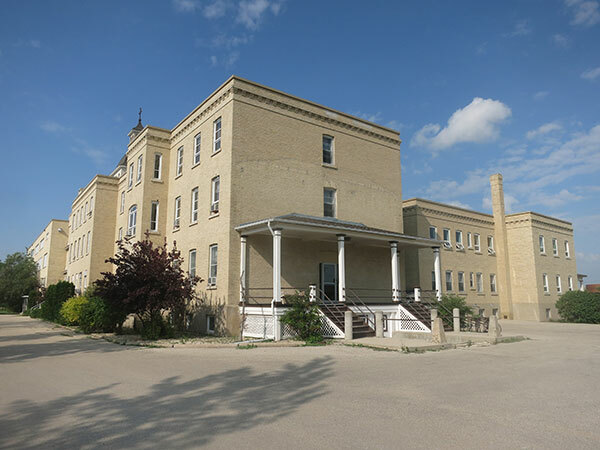 This impressive three-storey brick building in the community of Otterburne in the Rural Municipality of DeSalaberry was once an orphanage, operated between 1912 and 1954 by the Clercs de St. Viateur of Montreal. 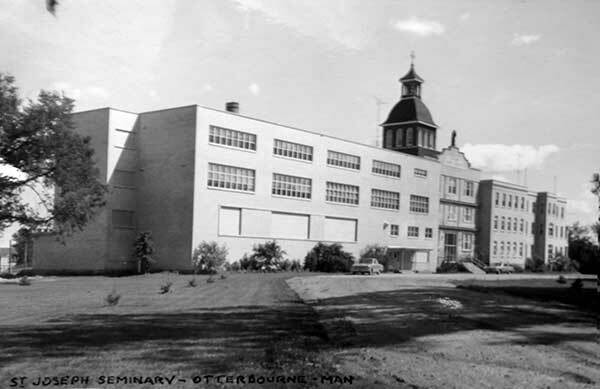 From 1954 to 1967, the Roman Catholic Church used it for a private secondary school known as St. Joseph College. 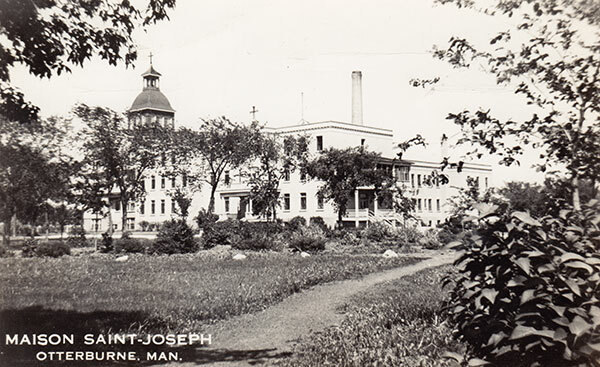 It sat vacant for three years then, as of 1970, it became the home for Providence University College, an evangelical Christian college and seminary. Source: Archives of Manitoba, George Harris Fonds, Acc. 1979-141, P7452, Album 18, Page 1. Index of Child-Care Institutions, Association of Manitoba Archives.